Madison, WI – Looking for a family-friendly way to celebrate Valentine’s Day? Come to the Barrymore Theatre at 1 p.m., February 14th, for the 15th Annual United Way Bluegrass Benefit. Six bands and performers are volunteering their time and talents with all proceeds going to United Way of Dane County. 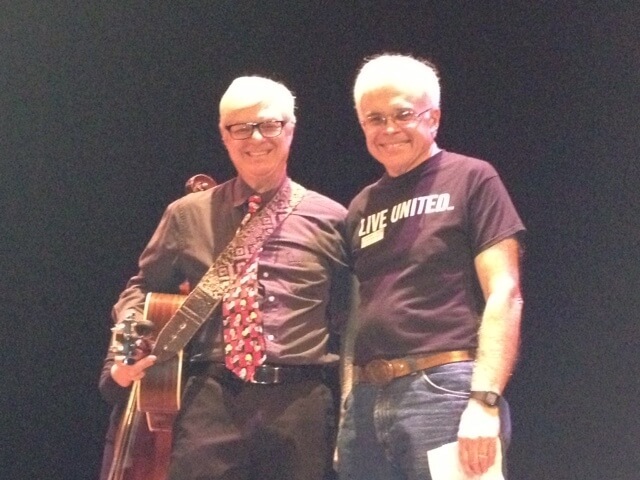 Longtime United Way advocate Dave Kinney has organized this concert since its inception. Over the last 15 years, this annual concert has grown in popularity among bluegrass fans and families who are looking for kid-friendly activities. Thank you to Barrymore Theatre, Steve Gotcher (Audio for the Arts), WORT 89.9 FM and Isthmus for their partnership. Tickets are $10 for adults and $5 for children ages 5 – 12. Children 5 and under are free. For families, there is a maximum cost of $20. Sortin’ The Mail 1:00 p.m.
Dave Landau The King of Kids Music 2:30 p.m.
MadFiddle & Highway 151 3:00 p.m.
Oak Street Ramblers 4:15 p.m.
Old Tin Can String Band 5:00 p.m.